It’s easy to get off track when you’re new to something. 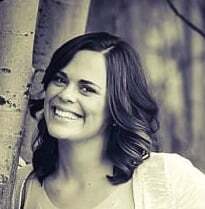 Even for the most experienced business person, there are benchmarks in the process of opening a new Great Harvest Bread Co. that are unique. We pride ourselves at the franchise office in helping new bakery owners navigate the challenges. The following are five common hang-ups that can get a new business owner off track and easy ways to avoid them. 1. Getting hung up on designing the “perfect” layout. Designing the layout of the bakery is important, but it’s also something that can easily become overcomplicated. In the start-up phase, we provide new owners with several versions of a layout focused on the efficient flow of product through the bakery. We focus on designing a bakery that balances our unique combination of manufacturing and retail. Those who are unfamiliar with our business model often misunderstand how to effectively balance this and thus the layout process can become cumbersome and ineffective. Although architectural designs are required in most municipalities, we recommend avoiding getting “too many bakers in the bakery” when designing and keeping the process as simple and as close to our best practices as possible. 2. Creating an imbalanced menu. Opening your store with a balanced menu is important for both you and your customer. 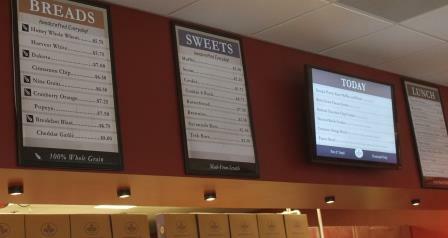 Balanced menus allow stores to cater to different customer tastes and preferences. They allow efficient purchasing and successful implementation of relevant seasonal promotions. Imbalanced menus yield ingredient waste, inefficient labor, unhappy customers and more. We recommend working with your franchise tracker and post tracker to ensure you’re achieving the best possible product mix. It’s easy, effective and beneficial to you and your customer. 3. Improper staffing. Having too many or two few staff members can be a hindrance to creating an effective work environment. Too many staff members can lead to high labor costs and inefficient job performance. On the other hand, too few staff members can also lead to burnout and turnover at opening – right when a new owner has the least amount of time to train a new employee. We have a staffing rubric for openings that will help you tailor to your own store. When it’s utilized to its full capacity, new stores start strong with the appropriate level of staff. 4. Cross-training team members too early. 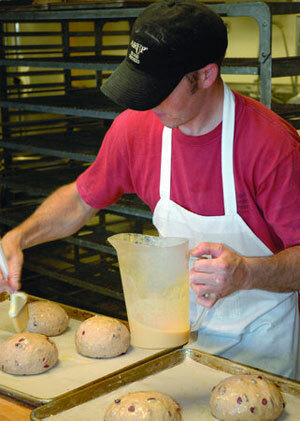 In new Great Harvest bakeries, training begins before the doors open for business. The on-site training team offers individual training for each team member; but also customer service training for everyone. We think that no matter the role of a staff member, it’s imperative that they can assist a customer and afford them the best customer service experience possible. That said, too much cross training in multiple roles can be a detriment to a new staff member. While it’s important that each individual understand how the bakery functions as a whole, not every baker needs to be expected to be a sandwich maker from day one. We believe in the old adage, “you need to run before you walk” and recommend on holding off on cross training until staff members are experts in their primary job positions. This enables staff members to be successful, gain a sense of accomplishment and provide an excellent level of service. 5. Not enough grand opening marketing. It’s no secret—the key to a successful grand opening is a great pre-opening marketing mix. Doing too little, focusing efforts in unfruitful areas and not taking advantage of public relations opportunities are all items that can lead to a slower grand opening. We recommend working closely with us to create a detailed marketing plan that addresses the specific mix of key messages and marketing tactics necessary for your store to be successful. Every new business owner knows that hang-ups happen. By working closely with the Great Harvest team, new bakery owners can avoid these and achieve success and efficiency sooner.